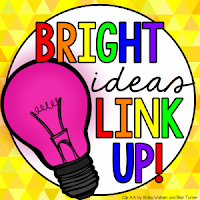 It's time for the Bright Ideas linky for May! 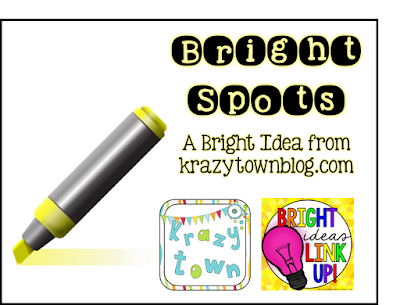 This month, I'd like to share how I used Bright Spots to provide student feedback. Sometimes the temptation is to tell kids only what they've done wrong. I felt like that is all I did when I gave feedback on students' writing. But when I read their pieces, I'd think, "Wow! Look at that! That's really good!" I decided I needed to find a way to share that with the kids, but without killing myself to do it. So I came up with the idea of Bright Spots. When I'm reading student writing, I keep a yellow highlighter handy. When I come across a great example of word choice, figurative language, a vivid verb, or some other outstanding work, I simply swipe the highlighter across it. Instant Bright Spot. Once I explained what the highlighting was for, it was the first thing the kids looked for when I returned papers. They were so excited to see what they had done well. I started keeping the yellow highlighter with me as I conferred with students so I could add a Bright Spot while they were looking. I used it when I walked around monitoring independent work. And then my students asked if they could use it when they conferred with peers. You bet I let them - I just had them use another color than yellow, so I could tell when the Bright Spot came from me. I hope this is an idea you think you could try. It could work for any subject - a problem worked correctly in math, a great use of vocabulary in science or social studies. Let's celebrate what our students do well! This is such a nice flip of the usual way - when kids work is marked for what's NOT correct. I love this idea and it's focus on the positive! Love this! What a quick way to encourage and give positive feedback to students! We only have 18 days left but I think I 'm going to start using this right away. Thanks for sharing! Love that this is simple, quick, and POSITIVE! Great idea. What a great idea! 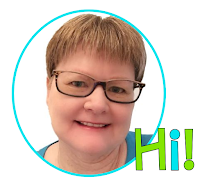 Super simple, super quick, engaging! I love it. I love the use of color, accenting the positive, and how simple it is to start using this idea right away! Great post! Great idea! I love simple ideas that give kids positive feedback! In my class, yellow highlighter means something else, so maybe I'll pick another color. :) Thanks for sharing!